Inspired by Jane Austen and set in contemporary Pakistan and England, Austenistan is a collection of seven stories; romantic, uplifting, witty and also, heartbreaking. These seven writers from Pakistan celebrate and pay homage to the queen of British Literature. They prove that Jane Austen is alive and kicking 200 years after her death and not just in English speaking countries but in the four corners of the world. Nathalie Novi is of Italian origin but lives in France. Her early childhood took place in Constantine, Algeria where she was surrounded by her sisters and lots of books. It was at the age of nine that she decided to be a painter. There is a saying that it is better to see once than to hear a hundred times. ­Hello all!! My name is Cleia Peterson. 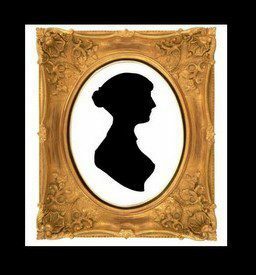 I have been invited by Rita L. Watts to be the correspondent for her Facebook page “All Things Jane Austen” during the Jane Austen Festival in Bath. Thanks to Robert Truscott – who created this masterpiece now on display inside Winchester Cathedral next to Jane’s remains – Jane writes again.